Charles Sykes was a contributing editor at the Weekly Standard, the host of the magazine’s Daily Standard podcast, and an NBC/MSNBC contributor. He is an outspoken critic of the Trump Administration and of what he calls the conservative “alternative reality” media. 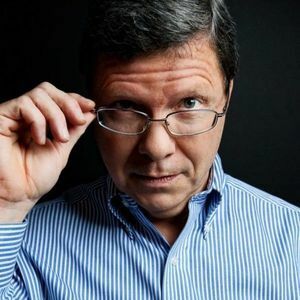 Charlie Sykes has hosted 70 Episodes. Josh Kraushaar joins host Charlie Sykes to discuss why the road to 2020 will likely focus more on Trump's behavior than it will on pocketbook issues, why the Democratic hopefuls largely skipped AIPAC, and the future of the Mueller report. Bill Weld joins host Charlie Sykes to discuss his career in public service, the 2016 election, and why he's testing the waters in 2020. Tim Miller joins host Charlie Sykes to talk about the Beto Woke Wars, the importance of policy positions in a crowded primary, and the "it factor." Bill Kristol joins host Charlie Sykes to discuss President's Trump's troubling weekend Twitter frenzy, the importance of presidential rhetoric, the 2020 election, and the bipartisan rebuke of President Trump's national emergency abuse. 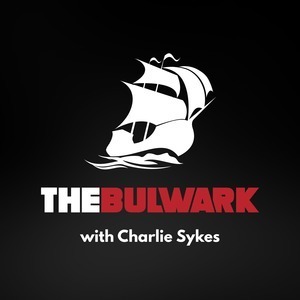 On today's Bulwark podcast, outgoing AEI President Arthur Brooks joins host Charlie Sykes to discuss his new book "Love Your Enemies: How Decent People Can Save America from the Culture of Contempt", how Twitter, television, and the outrage industrial complex inhibits our ability to persuade each other. A.B. Stoddard joins host Charlie Sykes to discuss 2020 and Betomania, why Speaker Pelosi isn't itching to pursue impeachment, the problems caused for Democrats by the renegade band of freshmen members, Paul Ryan's strange re-emergence, the Senate's national emergency vote, and why President Trump doesn't make deals, rather, he makes fights. Bernard Goldberg joins host Charlie Sykes to discuss his career in journalism, cable news, the "strange new respect" phenomenon, and why he left Fox News. On today's Bulwark Podcast, Linda Chavez joins Charlie Sykes to discuss why the last week of February was the most important week of Trump's Presidency. How his presidency fared regarding Michael Cohen's testimony, the North Korea summit, to the vote to overturn his national emergency declaration on the southern border. Ben Parker, Andrew Egger, and Jim Swift join host Charlie Sykes to talk about Sheriff David Clarke, the Democrats' fumble over condemning anti-Semitism, why Canada doesn't always send us their best, and the tarnished legacy of Michael Jackson. R Street's Andy Smarick joins host Charlie Sykes to discuss what the 13 House Republicans who voted against the national emergency have in common, his work for Chris Christie and Larry Hogan and the importance of government service for conservatives, and an update on 2020.